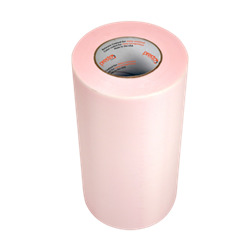 The 6175 is an easy tear, economically priced, embossed high density polyethylene film with medium tack acrylic adhesive specially designed for the clean pick-up and transfer of lettering and graphics. It is wrinkle free and leaves no residue or oil. The 6175 is an all-purpose tape for the majority of sign-making applications and is excellent for use with digital and ink jet graphics. It is color coded for easy identification.